The American Cancer Foundation estimates that about 35,000 Americans will develop oral cancer in 2012 (i). It is further predicted that 6,800 individuals will die from oral cancer over the upcoming year. Unfortunately, awareness for this common and tragically fatal disease is at an all-time low. 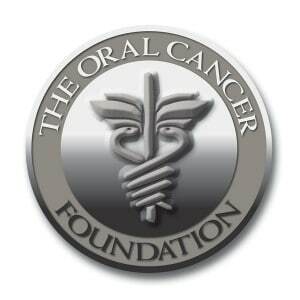 This April, the Oral Cancer Foundation celebrates the 13th annual Oral Cancer Awareness Month. It is a time for doctors and patients alike to open the lines of communication regarding oral cancer while promoting awareness for disease prevention, diagnosis, and treatment. 1. Discoloration of oral tissues: One of the most common signs of oral cancer is the formation of white, red, or a combination of white/red speckled areas in the mouth. This includes the gums, the inside of the cheeks, tonsils, and the inside portion of the upper and lower lips. 2. Areas of erosion: Areas of erosion most commonly form along the gum line and inner cheek, and they are most commonly the result of smokeless tobacco use. These areas may also be rough, sensitive, or discolored (see #1 above). 3. Swelling, thickening, or “bumps” in oral tissues: Oral tissues that become inflamed, agitated, or bloody must also be considered suspect. These areas may include patches of tissue erosion (#2 above) and discoloration (#1 above). 4. Difficulty performing normal oral functions: Individuals who experience a sudden difficulty with chewing, swallowing, or speaking should consult a dentist for an oral cancer screening immediately. Other signs include throat soreness, difficulty articulating the tongue, and a change in vocal tone. 5. Pain/discomfort in the areas surrounding the oral cavity: Patients may be surprised to learn that pain and discomfort in the ear, throat, and face may also be symptoms of oral cancer. 1. An estimated 35,000 individuals will develop oral cancer in 2012. 2. About 6,800 people will die from oral cancer in 2012. 3. Oral cancer is more than twice as common among men than women. 4. The death rate for individuals with oral cancer has been on a steady decline since the 1970s. 5. About 25-30% of oral cancers develop on the tongue. 6. About 15-20% of oral cancers develop on the tonsils. 7. About 10-15% of oral cancer cases involve the salivary glands. 8. About 35-50% (of remaining) cancer cases involve the lips, gums, and floor of the mouth. 9. The average age of individuals with oral cancer is 62 (though the disease most certainly develops in / affects young people). 10. About one third of oral cancer cases occur in individuals younger than 55. This April, visit a Miami dentist at Assure a Smile to have a comprehensive oral cancer screening and holistic dental cleaning. Oral cancer screenings at Assure a Smile include a broad examination of the face, neck, and oral cavity for lumps, discoloration, or other irregularities in tissue formation. Readers may schedule an appointment online or call our front desk directly at 305-274-0047 for more information.